Having a model that stands out among others on the road is often a necessity for Rumson drivers. After all, who wants to be the status quo? If you’re one of those who want to experience life outside the lines, then you need to check out the 2017 Jaguar XJ. With a bold exterior that offers impressive features and innovation, this is a vehicle you absolutely cannot pass up. When Holmdel drivers look at the 2017 Jaguar XJ, the first thing they’ll notice is the front of this sophisticated model. For starters, the honeycomb-esque front grille stands out in a subtle yet refined way, and it’s completely framed by the powerful LED lighting that creates crisp visibility when you need it most. Should you opt for the XJ R-Sport model, you’ll find yourself flattered with a black grille and rear valance that add a touch of dignity to this already impressive model. When tantalizing others on the road is a necessity, the Jaguar XJ will do just that. A lot of thought went into creating the new Jaguar XJ, and the final design was a combination of luxury and sophistication. This model comes standard with a floating roofline that is not only easy on the eye, but also emphasizes the long torso of this model, allowing it to stand out even more. Although the new Jaguar XJ comes with features never before seen, it does keep one thing close to the heart—the double J shaped lighting. Regardless of whether you’re looking at this model from the front or the rear, you’ll notice how both the headlights and taillights create a J shape that adds sophistication and highlights the brand. The 2017 Jaguar XJ defines driving in Colts Neck by creating a stunning exterior that is sure to please. With refined design features and amazing seamlessness, everything about this vehicle screams perfection. 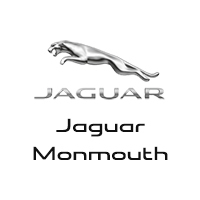 If you want to see this model for yourself, visit Jaguar Monmouth. Our dealership is located at 807 NJ-35 in Ocean, NJ. If you want to start an application, feel free to contact us online or by calling (877) 672-8680.